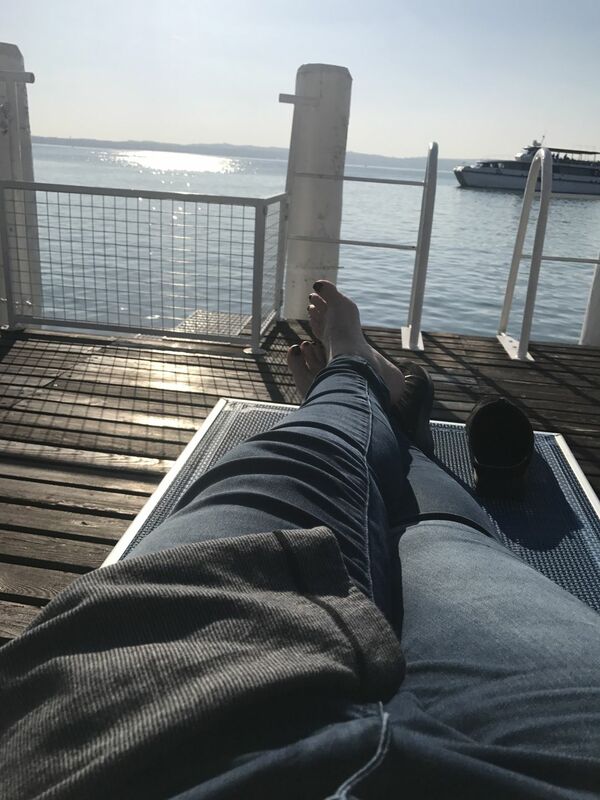 It’s a bit surreal; I’m lying on a lounger in the hazy sun as I write this post. The sounds of ducks quacking and lapping water below me. This wasn’t quite the holiday I expected it to be. The Brit and I took many pains to plan the perfect romantic getaway. The Napa and Sonoma Fires have taken away some of that joy, but the lovely staff at the Hotel Eden have helped make our stay as wonderful as it could be under the circumstances. I’d like to give a shout out to the wonderful Massimo, who made me endless iced coffees so I stayed cool under the stress and pressure of it all. 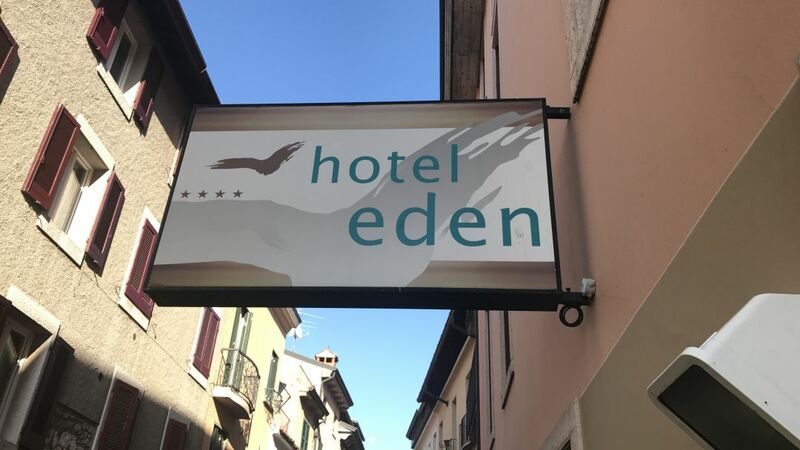 The Hotel Eden’s location is right in the middle of the bustling center of Sirmione; just steps from the ferry, the restaurants, the shopping, and, most importantly, gelato! It is a lively location with lots going on. Watch out Brit! That swan wants your gelato! ha ha! 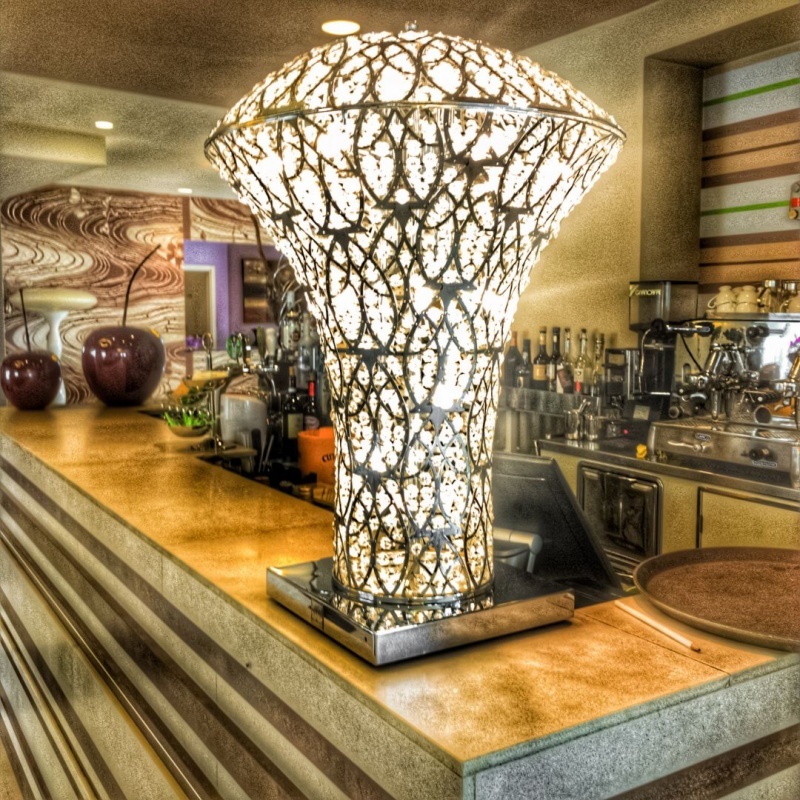 The Eden has a very quirky, oh so Italian, modern interior throughout. It has funky light fixtures and interesting bits of art scattered throughout the place. The thing that I liked, however, was that none of it was uncomfortable to sit and lounge on. So many times I have been to places where you just can’t relax. Our room was small but well equipped with everything. It was really well thought out. The bed was firm but comfortable. The bathroom featured a shower, toilet, sink, and bidet, which is traditional in Italy. Everything was spotlessly clean. 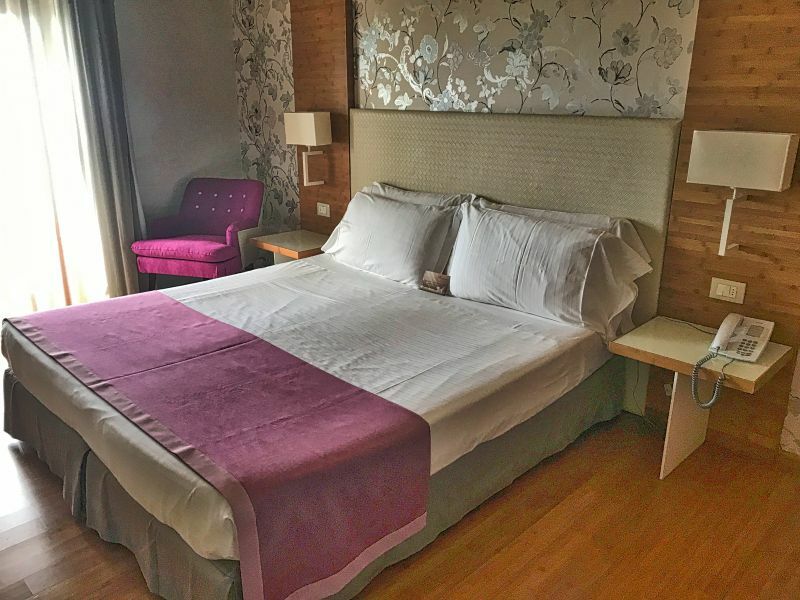 Nicely appointed room with comfortable bed, high thread-count sheets and extra pillows for the win! I liked the little touches they provided, like quality bath products and shower shoes in case you are worried about bare feet in a foreign shower. I had no worries as there was a faint scent of fresh bleach in the shower stall as I entered and as I said, it was all sparkling clean. 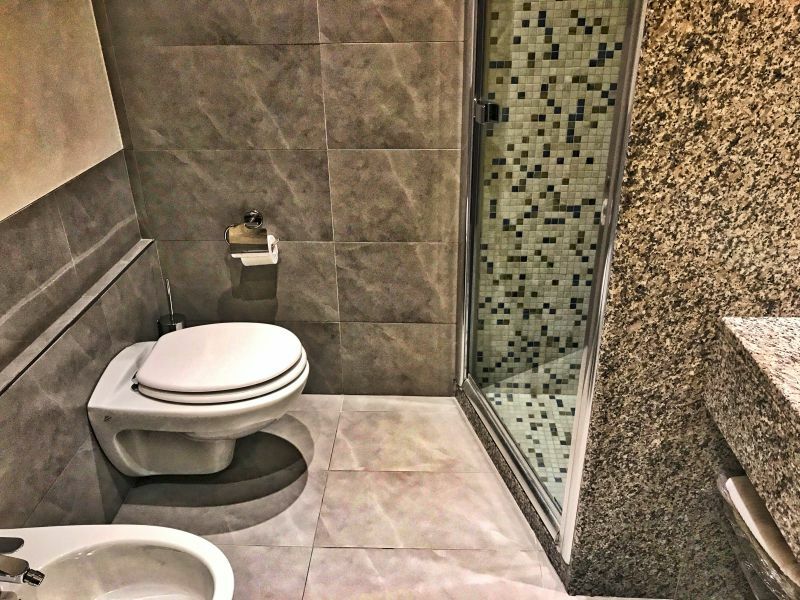 Who doesn’t love a bidet in a sparkling clean bathroom? We were lucky enough to have a room with a balcony on the third floor of the hotel. Each night we had spectacular views of the sunset. One night we sat out before dinner with a bottle of amazing local wine and just soaked in the glory of the view. Did I mention views views views?!?! The outside area of the hotel is just glorious! 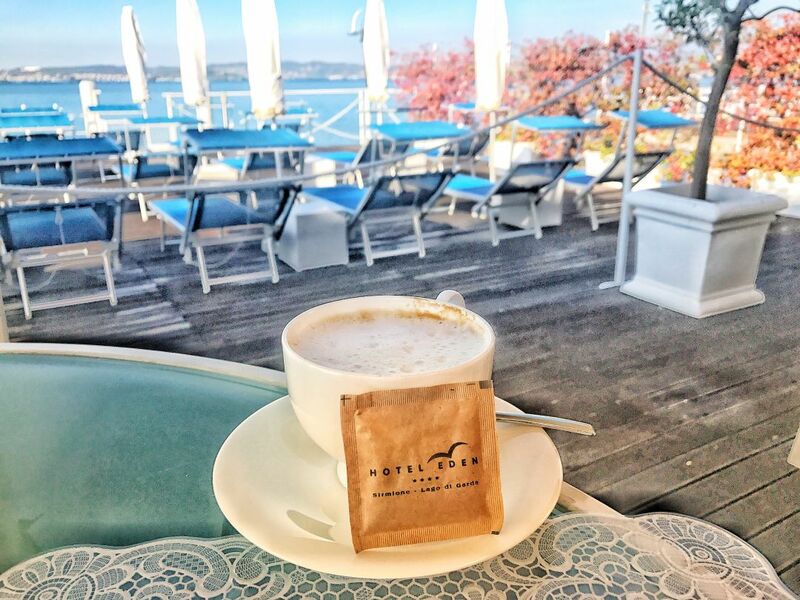 We sat out on the deck each morning for breakfast and in the afternoon for aperitifs as we gazed at the beautiful lake and watched the swans swim by; oh so peaceful. 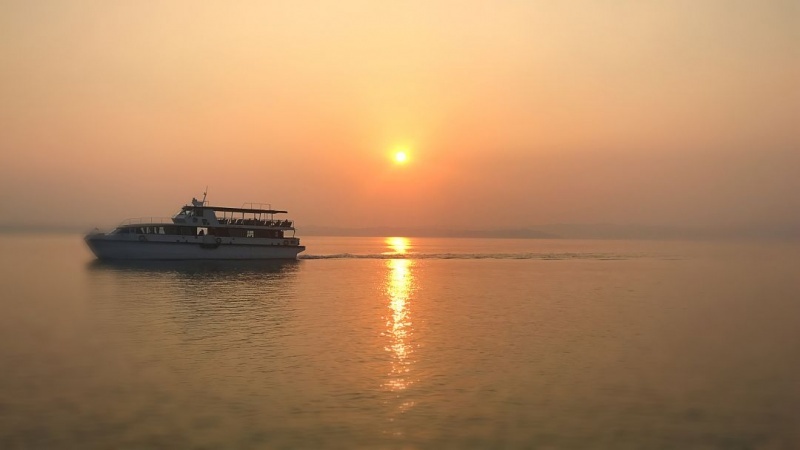 The only disturbance to that peace is the ferry boats coming to bring in passengers and load up new passengers every hour or so. It’s quite pleasant watching them sail by. 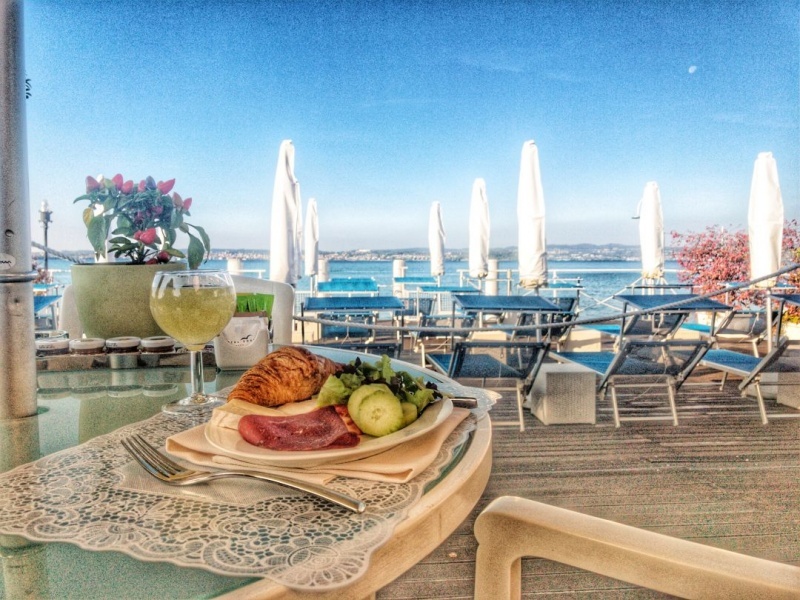 Breakfast was a wow with a view! I didn’t want to leave! Midmorning coffee… cause I am lazy and never got sick of that view.. In the afternoon the hotel offers tea for those people who would waste their time in Italy with such a beverage (haha). It is lovely and they set up a little buffet with cakes, lemon slices, and an amazing looking machine that makes hot water just for tea. They provide many different tea choices. 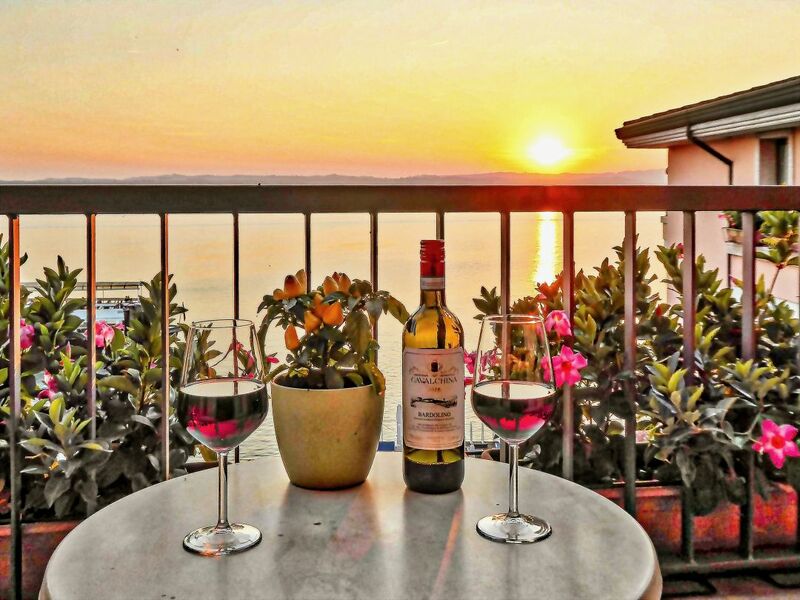 Wine for two, watching that beautiful sunset. We, of course, skipped over such a tragic waste of alcohol drinking time and enjoyed aperitifs of Aperol, soda, and wine. (Ok, I’ll cop to a Gin and Tonic or two – they make them with freshly picked botanicals in them – wow!) As it seems with all Italians and their hospitality, Hotel Eden is no slouch. With each drink, you are served some type of nibble to enjoy. Sometimes its little hors d’oeuvres; other times its chips and bar nuts. It’s a lovely little touch. 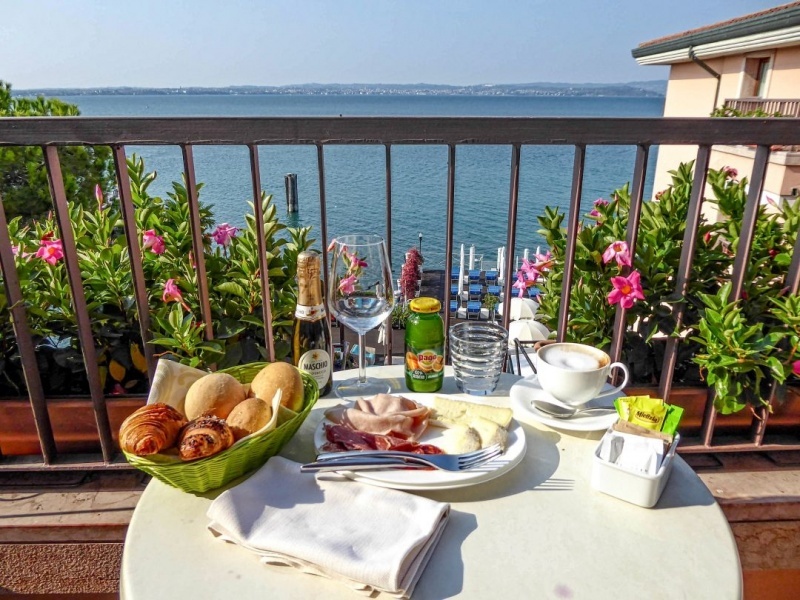 Breakfast on the balcony overlooking the lake. I felt so spoiled. I have to comment here on the staff during our stay.They were so caring. When I didn’t sleep, the manager was concerned, so he sent up a tray of food to our room for breakfast as I had missed breakfast and he knew I was stressed about the fires back home. Very sweet. I would highly recommend this hotel. The service, quality, and overall friendliness of the place are just great. I just wish we had been here under better circumstances. Sounds like you’re making the most of a stressful situation. Hope all is safe at home. We have been trying.. but we moved on to more family stress. That’s life. Thank god for wine! looks amazing! 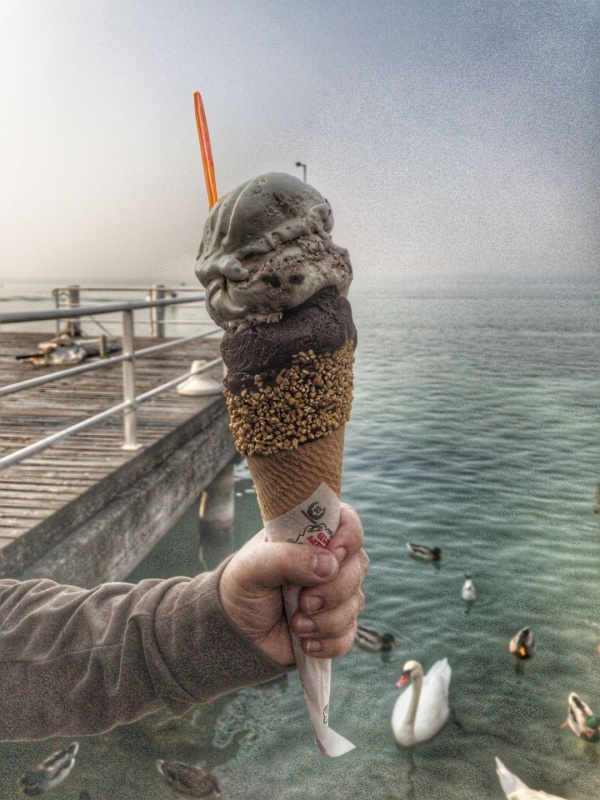 That is one heck of a gelato! Sorry you can’t enjoy it fully! Hoping everything in Napa/Sonoma settles soon. It is so sad.